Obtaining a cannabis retail license is no easy feat. There’s a hefty amount of paperwork involved, as well as mandatory background checks and, of course, money in application and licensing fees. Needless to say, once you’ve received your license, you’re going to want to take precautions to prevent any possibility of losing it. With so many rules and regulations surrounding the retail sale of cannabis, there are plenty of ways to jeopardize your license. Even if one of your employees inadvertently commits a compliance infraction, the result can spell certain doom for your store. After all: in cannabis, no license means no business. Below are five major compliance infractions that can lead to the loss of your cannabis retail license. 1. Exceeding daily purchase limits / looping. Every state and province with legal cannabis sales has set a daily purchase limit for consumers. Selling more than what it legally allowed is a major compliance infraction that can definitely land you in hot water. This is why it’s critical that all your staff members are trained on the legal purchase limits and understand the potential ramifications of overselling. Unlike accidentally selling a gram more than the law allows on a single transaction or failing to properly convert a product equivalency and selling over the daily limit (both of which are still considered infractions — and both of which can be prevented with cannabis compliance technology in place), looping is an intentional act of selling the daily limit to the same customer multiple times in one day. In late 2017, a Colorado dispensary chain was busted in an undercover sting for looping. The chain has subsequently lost all of its cannabis operational licenses. 2. Selling to underage customers. Just like alcohol, selling cannabis to underage patrons is a major compliance infraction. And, just as with daily purchase limits, each state and province has set its own legal purchase age for cannabis. The first step to preventing underage cannabis sales is to ensure your staff receives the proper training to know what the legal purchase age is and to follow protocol of always checking IDs before completing a transaction. Having an ID scanner can help automate the process and prevent an infraction before it occurs. 3. Conducting transactions outside of legal operating hours. Again, your state or province has set authorized hours of operation for cannabis retail stores, and conducting sales outside those hours can quickly land you in hot water. Along with ensuring your staff members receive the proper training to know what those authorized sale hours are and understand the potential consequences for violating them, you can protect your investment with a cannabis retail point of sale system that only allows transactions within the hours that you have programmed, in accordance with your local laws. 4. Not adhering to packaging and labeling requirements. Even though you aren’t packaging product on your premises, as a retailer, you’re still responsible for the way items are packaged and labeled in your store. That means that if you have products on your shelves that aren’t packaged or labeled in accordance with applicable regulations, an inspector can still hold you liable. Standard operating procedure in your cannabis retail operation should include inspecting all received product to ensure it meets the requisite packaging and labeling standards, so that you don’t end up with a compliance infraction sitting on your shelves. 5. Giving away product samples. Product giveaways and samples are a no-go for cannabis retailers. 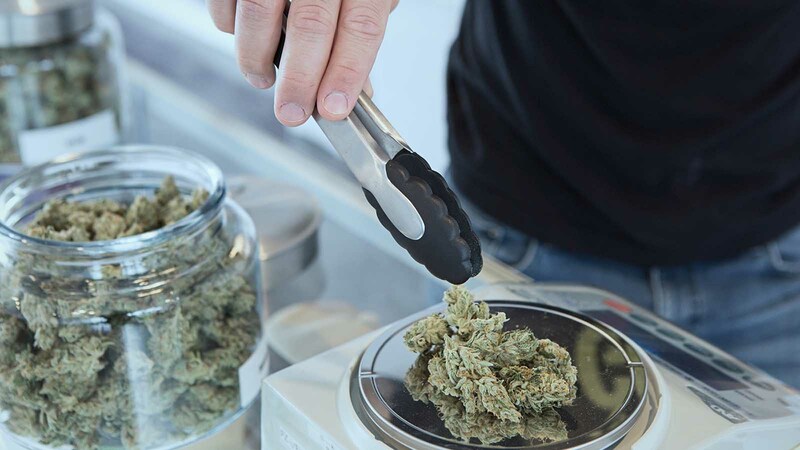 There may be some exceptions for medical retailers working with specific patients, but the guidelines are very strict, and you need to ensure you’re following protocol before engaging in any kind of samples or giveaways. As a general rule, make it a practice to never give away any product samples. Better to err on the side of caution when it comes to something that can jeopardize your cannabis retail license. Want to stay informed on the latest cannabis retail rules, regulations and best practices? Subscribe to our free newsletter today.